Could your portfolio use a bit of TLC? 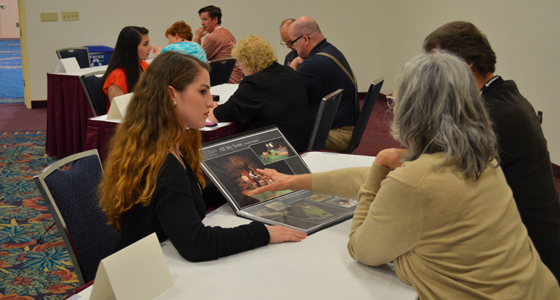 Industry professionals will be on hand at USITT19 to “PRIMP” (Portfolio Review & Interview Material Prep) and review your work samples and provide interview material preparation tips. If you’re unsure how to perfect and present your portfolio, especially if you’re in a field where the need for portfolios is minimal, these interview-savvy industry leaders will provide insight and guidelines to make your interviews and portfolios clean, professional, and unique to you. Reviews are available for all member and career types in design, technology, management, and education. 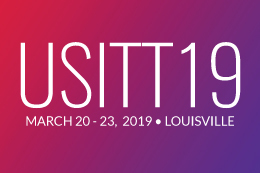 Applicants must be either individual USITT members or registered for the Full Conference; Stage Expo Only passes are not applicable. Apply by Feb. 25 to be guaranteed a 30-minute time slot to have your work reviewed. A limited number of slots will be available on-site but may conflict with sessions and/or fill up quickly. We encourage you not to wait on this popular opportunity. For more details and requirements, visit www.usittshow.com/professional-reviews.